Manufacturing in North Carolina has long been a central anchor to the local economy. In 2013, over forty new manufacturing facilities were announced in the State including innovators such as GE and Gildan Active Wear. With manufacturing, research and development is key to driving growth. The Federal and State governments provide substantial incentives aimed toward driving this effort. The present article will discuss North Carolina’s most innovative industries and present the federal and state tax credits available to support ongoing R&D efforts. Small Business Status (annual receipts less than $1 million): Qualified businesses on the last day of the taxable year are allowed a credit of 3.25% of R&D expenses. County Tier: Certain tax programs in North Carolina are indexed to a county ranking system. For expenses for research performed in a Tier 1 county, a business is permitted a credit of 3.25%. In North Carolina, encouraging signs are beginning to emerge as manufacturing employment begins to rise after over a decade of declines year-over-year every month from 1998 to 2010. Equally encouraging is the recent announcements of several major production plants in the state. Over 40 new manufacturing facilities were announced in 2013, including a 170,000 foot GE Aviation plant near Ashville. GE recently broke ground there in its attempt to be the first to create jet engine components made from advanced ceramic matrix composite materials. As the “first in flight” state, aerospace continues to be a large driver of manufacturing. More than 180 aerospace companies are engaged in manufacturing in N.C. alone, employing over 9,500 people. While not as much of a contributor to Gross State Product as it used to be, textile productions are still significant in North Carolina as well. Gildan Activewear recently announced plans to expand two yarn spinning facilities in Rowan County and construct a separate, new plant in nearby Davie County, for a total investment of over $250 million dollars. GE Aviation, a global leader in jet engine and aerospace production recently hosted a grand opening ceremony of its $125 million dollar facility near Ashville, which will employ over 340 people to produce jet engine components made of advanced ceramic matrix composite materials (CMC’S). CMC’s are made of silicon carbide ceramic fibers and ceramic resin, manufactured through a highly sophisticated process and further enhanced with proprietary coatings. The introduction of CMC components into the hot section of GE jet engines represents a significant technology breakthrough for GE and the jet propulsion industry. The specific CMC component to be built in the new Asheville facility is a high-pressure turbine shroud. 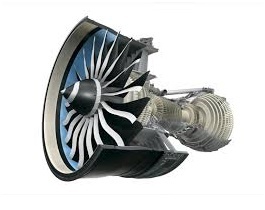 Perhaps more importantly, this CMC component will be on the best-selling LEAP jet engine, being developed by CFM International, a joint company of GE and Snecma (SAFRAN) of France and will mark the first time CMCs are used for a commercial application. The LEAP engine, which will enter airline service in 2016 will power the new Airbus A320neo, Boeing 737 MAX and COMAC (China) C919 aircraft. Governor Pat McCrory had this to say about the plant -- "The aviation sector is very important to North Carolina and we thank GE Aviation for its impressive investment in Asheville along with the hundreds of jobs it will provide. Companies like GE Aviation will continue to put North Carolina on a national and international stage when it comes to the aviation industry - something we care deeply about - and we look forward to partnering with them in the future." Gildan Activewear Inc. is a leading supplier of basic everyday apparel including T-shirts, sport shirts, socks and underwear. The company distributes its products in print wear markets throughout the U.S. and Canada; and is currently increasing its penetration throughout the international print wear markets. Gildan is also one of the largest suppliers of branded athletic, casual and dress socks for a broad spectrum of retailers in the U.S., and is developing Gildan® as a consumer brand for underwear and active wear. Gildan has over 33,000 employees worldwide. In the Carolina’s, the company recently announced that it will invest in excess of $250 million to build a yarn spinning facility behind its Salisbury location, which is currently under construction, and another one in Mocksville, as well as to expand and renovate its Clarkton location. With these projects, Gildan expects to create more than 500 new jobs in North Carolina by the end of 2016. Governor McCroy had this to say about the project, -- “Apparel manufacturers like Gildan are further investing in North American operations and North Carolina is just the place for their company to succeed with that. • New or improved products, designs, equipment, and manufacturing processes. • Creation of second generation products. • Design and evaluation of alternative processes aimed at enhancing cost-effectiveness and product performance. • Biomimicry, in other words, drawing manufacturing inspiration from nature. • Three-dimensional or Tri-Gate transistors. • Robotic and automated processes with high precision levels and vision capabilities. • Development of sustainable products and processes, such as green steel technology using rubber tires. • Highly efficient batch processing using multivariate-based predictive models. • Use of predictive header pressure controllers. The Research Triangle Park (RTP) in Durham, North Carolina is one of the country’s largest clusters of innovative businesses and organizations. In1960, RTP attracted its first company – Chemstrand – the inventor of AstroTurf. Shortly thereafter, IBM came to the area with a 600,000 square foot research facility. 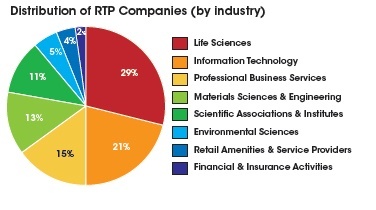 Today, RTP is home to more than 190 companies and over 50,000 people with expertise in various fields some of which are discussed below including as micro-electronics, telecommunications, biotechnology, chemicals, pharmaceuticals, and defense technologies. The research cluster also collaborates with nearby research intensive universities such as the University of North Carolina and Duke which are crucial to the effort. Industries invest more than $296 million in R&D at the region’s universities each year – more than double the average R&D investment for major innovation clusters elsewhere in the nation. As the name suggests, microelectronics relates to the study and production of very small electronic components. The use of integrated circuits (very complex circuits consisting of thousands of transistors formed on the surface of a tiny 1/4 inch chip) is a development of only the last 20 years. The first integrated circuits consisted of only a few connected transistors (replacing the familiar vacuum tubes). Today’s “chips” contain more than 10,000 transistors and the technology is moving rapidly toward 100,000 on a chip. These integrated circuits are the brains of pocket calculators, digital watches, microprocessors, and new automotive engine controls. General Microcircuits Inc. (GMI), located just 20 miles north of Charlotte, provides simple solutions for electronic circuit board manufacturing. They design new products and improve existing ones, supporting the entire process from the conceptual through production phases of the operation and conducting R&D all along the way. For instance, engineers continuously provide input to customers to insure that individual designs are utilizing the best possible manufacturing practices in order to keep costs down with the least amount of risk and waste. During this process GMI develops extensive testing methods to examine the effectiveness of new products. A complete assessment is developed and a plan of action is established. Generally, it is this type of activity for which the government provides R&D incentives. Research Triangle Park is home to a number of biotechnology and Pharmaceutical companies. Biotechnology is a broad discipline in which biological processes, organisms, cells or cellular components are exploited to develop new technologies. This technology is used in a broad array of applications. Most commonly farmers use it to efficiently grow crops, pharmaceutical companies use it to create medicines and vaccines; and energy producers use it to develop alternatives to fossil fuels. Grifols (Durham, North Carolina) is a global healthcare company with significant operations in Durham whose mission is to improve the health and well being of people around the world. Their research projects aim to increase the level of innovation of products and services that help to improve patient healthcare and quality of life. For example, in the bio-sciences division recent R&D projects include developing new therapeutic applications for plasma-derived proteins and industrial developments that improve production methods or achieve new ones to increase efficiency of the plasma derivatives. Biomedics is a Delaware corporation located in Research Triangle Park which specializes in biology, biomedical engineering, and biochemistry. Some research projects at Biomedics include developing advanced highly sensitive and quantitative rapid point-of-care (POC) diagnostic platforms and novel disease specific diagnostic tests for the $16 billion POC diagnostic market. The company’s goal is to make POC testing widely accessible with the same level of sensitivity and quantification as complex and expensive central lab tests. Their test development expertise lies in immunologically based POC tests focused on drugs of abuse/overdose and hemoglobinopathies. Biogen (Research Triangle Park) is one of the world’s leading biotechnology companies. Their research efforts are built on understanding the underlying biology of complex diseases with a focus on developing therapies for patients with serious illnesses that currently have few, if any, treatment options. Their AVONEX product, for example, is a leading therapeutic for relapsing forms of MS. Basically, it is used to slow the progression of disability and reduce relapses. Some other products which are making their way through the continuous Research and Development process include ANTI-LINGO, which is being investigated for its use in Multiple Sclerosis and BAN2401 which is an antibody being developed as a potential treatment for Alzheimer’s disease. • Biofuels from Plant Waste. • Fuel and Feed from Plant Biomass. • Aerobic Granulation and other waste-water treatment technologies. • Integrated Biosystems (such as integrated aquaculture production). • New or improved drugs or drug production processes (such as highly efficient drug pipelines). • Innovative techniques to test drugs (particularly on human cells). • Multi-application approach to synthetic microbes. • Research on treatments and vaccines for incurable or recurrent diseases (such such as cancer, malaria, osteoporosis, FLU). North Carolina is home to a number of pharmaceutical companies, including Baxter, GlaxoSmithKline, Merk and Novo Nordisk, all of which have major manufacturing facilities in the state. The Research Triangle Region is the home to most of the Research and Development efforts in this sector. Here local universities, medical schools and nonprofits produce research discoveries that are transferred to industry leaders who further develop the drugs and move them to market. The raw critical mass of research facilities and experts in the region provide the competitive edge that the region has to offer for these types of organizations. Nanotechnology involves the manipulation of very small particles, (perhaps 1/100,00th of the width of a human hair) to create new materials and devices with applications in medicine, electronics, biomaterials and energy production. Particularly, this technology is very important in the research and development process associated with pharmaceuticals. The Research Triangle Region is home to more than 50 companies that utilize this technology. For more information on nanotechnology as it relates to R&D see “The R&D Tax Credit Aspects of Nanotechnology". Generally speaking, a biological drug is any medicinal product manufactured or extracted from a biological source. After a decade of glooming perspectives, the pharmaceutical industry is making a strategic shift towards biologics. The North Carolina regional industry is no exception. Many companies there develop biological drugs which are not only a source of targeted and personalized treatments but also a promising field for innovation. For more on biological drugs see “The R&D Tax Credit Aspects of Biological Drugs”. Just this month, Argos, a bio-pharmaceutical company in the Triangle Research Park announced its plans for a $9.5 million dollar state-of-the-art facility designed for the automated production of personalized immunotherapies used in the treatment of cancer and infectious diseases. In support of the development and implementation of the nearly 100,000 square foot facility, Argos will receive approximately $9.5 million in incentives as well as logistical and planning support from the State of North Carolina, Durham County, the City of Durham, and the North Carolina Biotechnology Center. Argos was founded based on groundbreaking research conducted at Duke University over a decade ago and has experienced consistent growth ever since. This process of industry collaboration with academic research is part of a broad philosophy and current trend to foster more integration between the two. For more on this topic see “The R&D Tax Credit Aspects of Innovation in New Jersey”. There aren’t many if any places in the world with such an abundance of pharmaceutical and research and development facilities concentrated in one region as Triangle Research Park. With the aging baby boomers and the public’s desire for quality medicine, the expanding trend in new developments is likely to continue feeding the region as well as the larger North and South Carolina areas solid opportunities to further research and development in pharmaceuticals. • Development of new or improved products. • Materials science (innovative use of existing chemicals). • Improvements in product design (new formulas, enhanced product yield and shelf-life, are a few examples). • Innovative strategies to lower drug attrition rates. • Enhancements in process design, optimization, automation, and control. • Innovations that lead to better compliance to regulatory standards. • Development of personalized treatments, as opposed to single-disease technologies. • Creation of tools that can help people better understand and manage their condition. • Innovative streamlining efforts that lead to higher efficiency and minimize costs (of testing methods and manufacturing processes, for instance). With seven military installations and fourteen U.S. Coast Guard facilities, North Carolina boasts the fourth largest military presence in the nation. Fort Brag is the largest military post in the United States and is home to more general officers than anyplace outside the Pentagon. The military continuously prefers to utilize developments from the Research Triangle Center that occur in connection with various technology fields from clean technology to interactive gaming. These innovations are often adapted by the military and tweaked for combating terrorism and securing the nation from 21st century threats. Some of these innovations include advanced camouflage products to protect troops and equipment from detection, submarine periscopes, and computer simulations to assist in planning of battlefield management. performance attributes and/or reduced costs of production. and reduce the cost of iterating the product for ever more narrow segments). • Innovative designs that increase adequacy to distinct customer requirements. • Improvements and innovation in communications and systems integration. • Innovative products and methods that respond to increased regulation and cost-cutting measures. • Design and production of small ships. • Design and production of unmanned aerial vehicles. With economic activity on the rise, hiring in transportation, warehousing and wholesale trade have all reported significant gains in NC over the past year. Freight shipments have increased while ongoing infrastructure projects continue to flourish including the construction of port facilities, railroads, highways and airports. 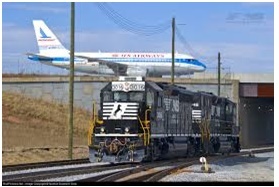 Take for example, the new facility opened by Norfolk Southern last year between two runways at the Charlotte-Douglas International Airport. FedEx Ground Package System Inc. is building a new 254,000-square-foot distribution center on a 59-acre plot in Spartanburg County, S.C. This facility represents a $40 million investment and is expected to create at least 22 full-time and 219 part-time jobs. Research and Development touches nearly every industry and logistics is no exception. In recent years, FedEx has found improvements in deliveries, training and planning as a result of the ROADS delivery optimization system. The system is constantly working to provide FedEx planners with fewer routes while allowing for drivers to drive less. The software is also especially useful in phasing around disruptive weather that can reduce the reliability of FedEx’s delivery methods. Duke Energy, a utility company headquartered in Charlotte, N.C. is a major player in the national utilities sector and particularly the local North and South Carolina economies. The company supplies 35,000 megawatts of power to consumers in the Southeast and Midwest and employs over 17,000 people many of them in North Carolina. However, a large amount of the utility production is created through coal burning, making the company one of the largest carbon emitters in the country. This is a concern because the utility industry is going through a fundamental transition as it moves from the 20th century goal of providing universal access to electricity to the 21st century goal of creating a smart grid that is both energy efficient and environmentally friendly. North Carolina and Duke Energy are no exceptions to trend. Motorsports is a $6 billion dollar industry in North Carolina and Charlotte USA is at its heart. Housing multiple offices of NASCAR and the NASCAR Hall of Fame, seventy-five percent of NASCAR industry employees and drivers are based nearby. The large presence of the racing technology industry along with the newly built NHRA drag strip, zMAX Dragway at Concord, is influencing other top professional drag racers to move their shops to Charlotte as well. Already, 90 percent of all NASCAR teams are headquartered within 50 miles of Charlotte. North Carolina’s university system produces 8,500 graduates each year, many of them with specialized training useful in new technology applications. Of the 912 institutions surveyed by the National Science Foundation, Duke ranked fifth in total R&D expenditures for 2011(the latest reported year) beating out other research intensive schools such as Columbia and Stanford. Also, atop the list was U. N.C. Chapel Hill, placing 17th with $767 million in total R&D expenses. Three major universities (Duke, N.C. State and The University of North Carolina at Chapel Hill) provide the anchor to Research Triangle Park which is home to more than 100 research and development organizations, employing nearly 40,000 people. Duke is among the world's leading research universities, as measured by research funding, rankings, academic citations and other indicators of impact. Its faculty experts work with graduate students, undergraduates and others to expand the frontiers of knowledge in diverse fields ranging from the natural sciences to the social sciences. Duke also works actively to translate discoveries into new products, industries and jobs, and to share insights with legislators and others involved in public policy. Many of the exiting innovations at Duke are happening at the School of Medicine where industry partners from Triangle Park collaborate with researchers to gain the competitive edge in the health care industry. In one study, Duke University researchers have uncovered the genes that are normally activated during recovery from bacterial infection. The finding could lead to ways to jumpstart the recovery process and possibly fend off autoimmune diseases and chronic inflammatory disorders that can result from the body staying in attack mode for too long. The University of North Carolina consistently ranks among the top funded research institutions in the nation. For the 2014 year, the Institution received over $792 million in research funds. Most of this funding goes toward the school of medicine which received a whopping $431 million. Other heavily funded areas involved the College of Arts & Sciences with $76million, the school of Pharmacy with $19million and the School of Dentistry with $11million. Some research projects at the institution involve advancing the understanding of the causes and course of cancer, devising new treatment methods, and improving cancer care, screening and prevention. Outside the school of medicine, other research projects involve improving generation of electricity from sunlight and solving the most critical issues in water health and development. 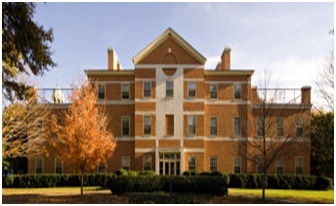 Wake Forest has several different research facilities specializing in areas ranging from biology to nanotechnology to physics. Their laboratories are featured in state of the art buildings such as the physics laboratory which is featured on the right. Research here covers broad topics ranging from cutting-edge laser technologies to atomic force microscopes. Given the intensive manufacturing nature of the North Carolina economy, research and development is especially central to its growth. Developers realized this in 1960’s when they envisioned the Research Triangle Park which has since grown to be perhaps the largest research center in the world. Here and throughout the larger North Carolina economy collaboration between industry and academia has been driving R&D and in turn the local state economy. Federal and state research and development credits are available to stimulate the efforts.